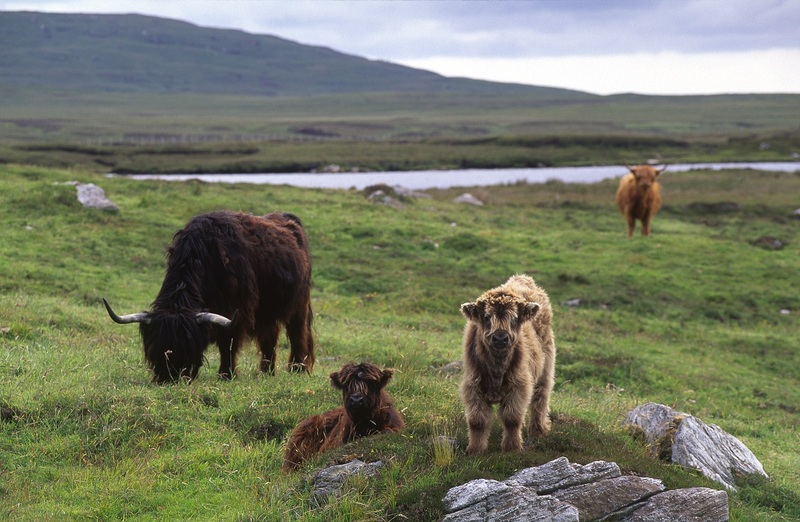 Bidh stoirmean a’ gheamhraidh a’ cur brùchdan feamainn air tràighean gainmhich taobh an iar nan Eilean Siar, far am faodar a chruinneachadh agus a chleachdadh mar thodhar. Aig aon àm, bha fear aig gach coimhearsnachd a chumadh a shùil a-mach airson na leithid / The winter storms regularly drive seaweed onto the sandy shores of the Western Isles, where it can be collected and used as fertiliser. At one time, each community had a watchman who would keep his eyes open for such a bounty. Air cladach creagach taobh an ear nan Eilean A-muigh, tha e furasta gu leòr feamainn a chruinneachadh airson an talamh fheamnadh – chan eil agad ach feitheamh ri ìsle-mhara agus tha an t-uabhas ri fhaighinn. Ach chan ionann e air cladaichean machrach an taobh an iar far a bheil tràighean gainmhich ann. Cha bhi feamainn ach a’ tighinn gu tìr bho àm gu àm ann am brùchdan mòra agus, mura tèid a cruinneachadh gu sgiobalta, dh’fhaodadh i a bhith air a sguabadh air falbh a-rithist leis an ath làn. Tha cunntas ann an Coimisean Napier air cor nan croitearan ’s nan coitearan air a’ Ghàidhealtachd (1883-4) ag innse mar a bha fear a’ fuireach faisg air a’ chladach aig gach baile, agus an dleastanas air a bhith a’ foillseachadh do mhuinntir an àite gun robh brùchd ann le bhith a’ cur meall feamainn ùr air mullach peursa. ’S e Am Peursair a chainte ris agus gheibheadh e duais ann an ‘feamainn is fearann’. Bhiodh na daoine an uair sin a’ nochdadh ann an pailteas, le eich, cairtean is clèibh airson an fheamainn a chur os cionn an tiùrr. Sgrìobh ùghdar a’ chunntais, Alasdair MacIlleMhìcheil (fear Charmina Gadelica), nan nochdadh am brùchd aig àm nuair a bha an sluagh dripeil, gum biodh an fheamainn ann greis mhòr, a’ lobhadh agus a’ dèanamh samh grod. Ge-tà, tha e a’ cumail a-mach gun robh òson on Chuan Siar a’ clòthadh an fhàilidh agus nach robh dragh sam bith air na daoine! 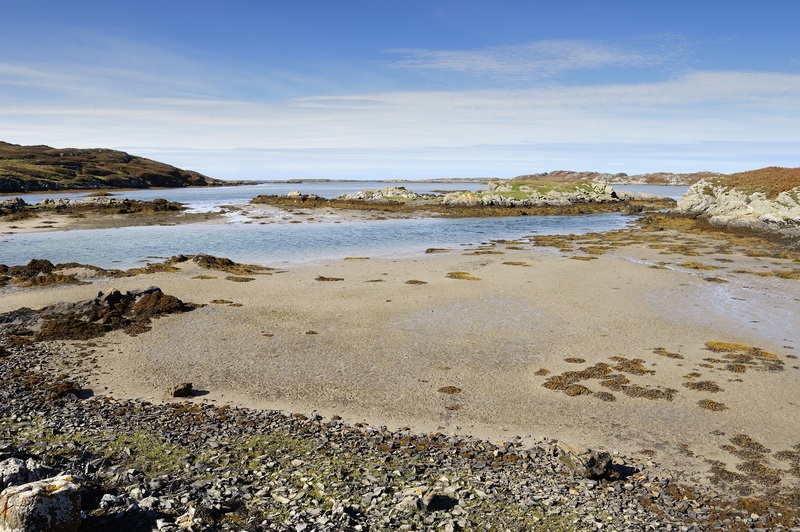 On the rocky eastern shores of the Western Isles, collecting seaweed to manure the land is an easy task – wait for a low tide and there is a virtually endless supply. But the sandy western shores, backed by machair, with little weed growing in the littoral zone, are a different proposition. Seaweed comes occasionally and in large amounts (called a brùchd in Gaelic), usually following a storm, but the visitation can be fleeting, for the next high tide can sweep the bounty away. An account in the Napier Commission of Inquiry into the conditions of crofters and cottars in the Highlands and Islands (1883-4) tells of how the islanders would appoint a man to live near the shore, whose duty it was to alert the locals of the arrival of the seaweed by hoisting ‘a bundle of ragged seaweed on the top of a pole’. He was called Am Peursair ‘the perchman’ and his services were ‘paid in seaweed and land’. The villagers would then arrive in numbers, with horses, carts and creels, to lift the seaweed above the reach of the tide. 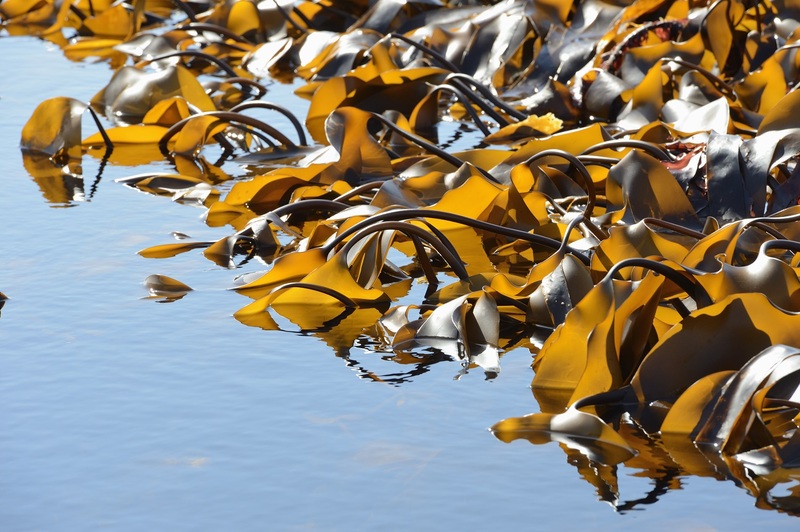 The author, Alexander Carmichael (of Carmina Gadelica fame), wrote that if the brùchd arrived at a time when other work took priority, the landed seaweed would be allowed to lie above the shore for a period, causing it to putrefy, and creating an offensive smell. However, Carmichael added, ‘the bountiful ozone from the Atlantic counteracts it all, and no harm arises’! 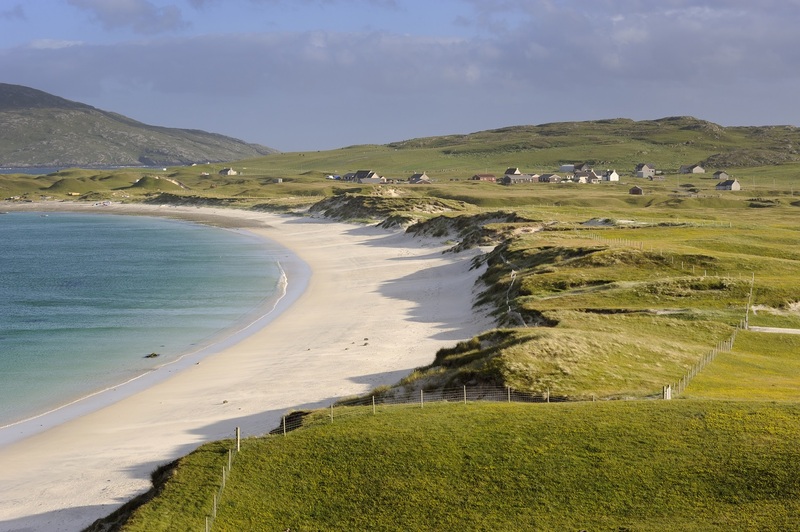 This entry was posted in Gaelic, machair, Scottish Natural Heritage, SNH. Bookmark the permalink.